Yesterday the Disney Parks Blog announced that this coming Friday, 19th August, Epcot and the Magic Kingdom would be celebrating "PhotoPass Day" with special character appearances throughout the parks. The DPB has so far suggested that Dopey would join Snow White in Germany, Mushu would join Mulan in China, the Queen of Hearts would join Alice in the UK, and Gideon and Foulfellow would meet with Pinocchio at Storybook Circus in the Magic Kingdom. While this is a neat idea, it is a shame that they have given such short notice, since many character fans will find it hard to get there for Friday, and additionally, these are characters that up until a couple of years ago, used to appear daily at the Walt Disney World Resort anyway! Nonetheless, it is nice to see them using some initiative that character fans can benefit from, and we hope they continue to do things like this - hopefully with more notice in the future. The Tokyo Disney Resort Blog today announced that five new floats would be joining Dreamlights at Tokyo Disneyland from July 2017. There will be one new float featuring Anna and Elsa, two new floats featuring Cinderella and Prince Charming, and two new floats for Belle and Beast. Tokyo Disney Resort for the past couple of years have been going through and renewing and replacing the Dreamlights floats, with some recent ones being Pete's Dragon, the Blue Fairy and Peter Pan. The old floats were always better than the US parks versions, but the new floats are beyond stunning in every possible way. We look forward to seeing these newest floats glowing through the streets of Tokyo Disneyland next summer! 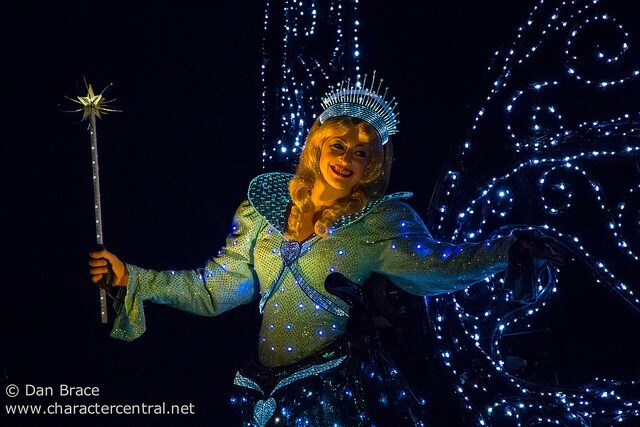 In case you missed it, last week I reported new about Paint the Night and the Electrical Parade in the US, Halloween at Disneyland Paris, and Christmas at Tokyo Disney Resort, so check all that out, here!